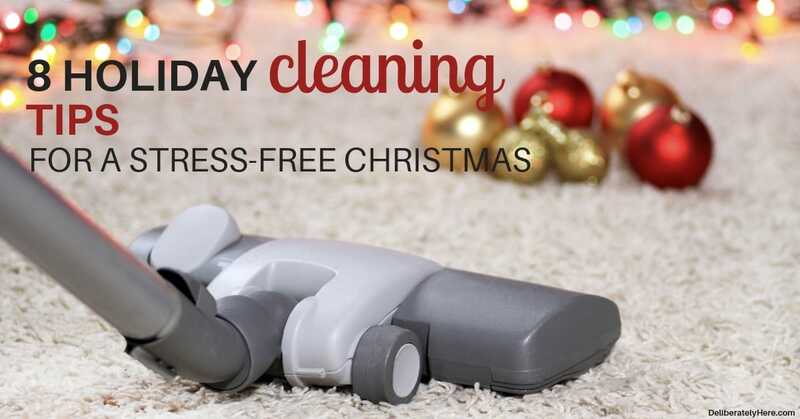 Christmas can be a busy season, and just thinking about adding cleaning onto that list might be enough to send you over the edge. 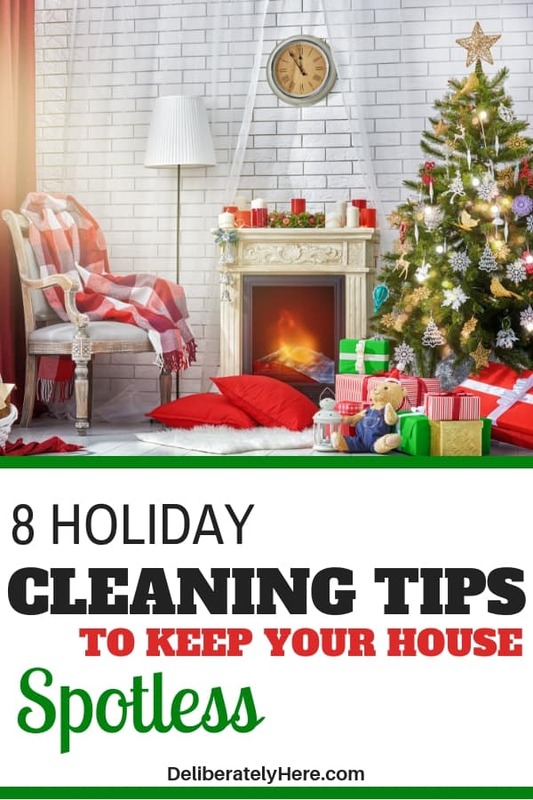 If cleaning isn’t your forte, I’ve put together a list of 8 holiday cleaning tips that will help even the worst of cleaners create a clean home with less stress this holiday season. This time of the year isn’t just busy with preparing for the holidays and all the guests you’ll have, it’s also known for bringing unwelcomed sicknesses into our houses, and when you are trying to prepare your house for guests laying sick on the couch is just not an option. While you want to keep your house clean during this time of year (and always), you also want to be extra clean yourself. This is a busy time of year for everyone, but remember to take it easy, give yourself lots of rest, and wash those hands. Get your entire family on board with washing their hands frequently throughout the day to try and prevent any illnesses from entering your house. On with the holiday cleaning tips. I am someone who thrives with schedules, I like to challenge myself to get everything checked off of my list as quickly as possible in the day, so I don’t have that nagging thought in the back of my head that I still need to finish the chores, or whatever it is I need to do that day. The satisfaction of being able to check stuff off and see the list shrink down motivates me to keep going. If you’re someone who thrives off of lists, working your way through these holiday cleaning tips will be nearly a piece of cake for you. If you’re on the other end of the spectrum and prefer to just wing it, and rely on your brainpower to remember everything that needs to get done for the day, firstly, I applaud you. Secondly, I want to challenge you to try making a list while you’re working your way through these holiday cleaning tips. But, if you decide you would rather wing it and do it without a list – do whatever works best for you. List lovers, you’ll be all over this step. Non-list lovers, you’re probably ready to leave right about now. 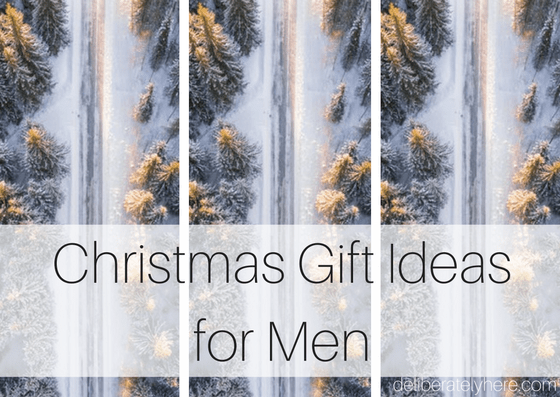 Hear me out – it gets better after this step, and if you’re adamant against having a list, then go ahead and make a mental schedule. Making a list is a quick, painless task that will truly help you in the long run since, especially during this time of the year, your brain is likely already going at a 100 miles an hour, and you don’t need to pack it full of other stuff. Keeping a list will allow you to work on one task at a time, then when you complete that task you can check it off and move on to the next. Don’t worry – I already did all the work for you so you don’t have to grab a piece of paper and write out your own list, you can grab this printable Christmas cleaning schedule, hit print, and be set to go. Now that you know what all needs to be cleaned before the holidays and before your guests arrive, you can get to work. 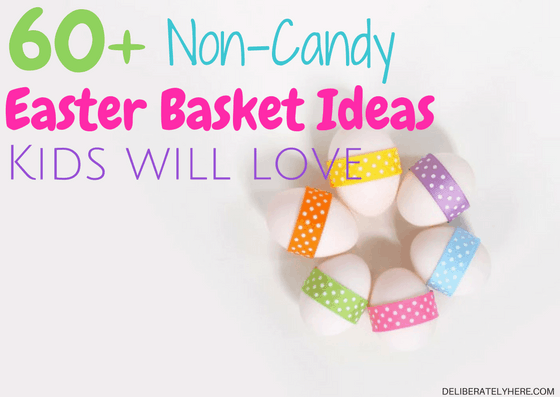 First, grab a cleaning caddy (or just use an old ice cream pail) then gather all the cleaning supplies you need. I like to fill my makeshift cleaning caddy with my favorite microfiber cloths. These cloths work WONDERS – I love cleaning with them. It is said that when you dust with microfiber cloths that the cloths don’t leave behind any residues that would attract dust, so you can dust less often. If you’re like me and jumping with excitement at the thought of having to dust less often and wondering where you can sign up – right here. I also always have my homemade cleaners in my cleaning caddy. If you don’t use homemade cleaners, just grab whichever household cleaners you generally use. If you are interested in making your own cleaners, the one I use is a simple solution of vinegar and water. You can then either add your favorite scented essential oils to the solution or infuse it with citrus peels to make it smell nicer and less vinegary. If you use any sponges for cleaning your bathtub or other surfaces, you can place them in your cleaning caddy as well. Now would also be a good time to grab your cleaning gloves and put them with all your other cleaning supplies. 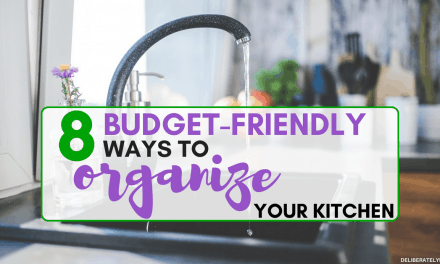 After you have collected everything you need to clean your house (besides the big things like the vacuum, broom, and mop), you’re ready to get cleaning. In an effort to make this big chore of cleaning for the holidays go faster, assign a chore to everyone in the family. Even some of the littlest members of the family can help out with small tasks. You can create a family chore chart that states what member of the family is responsible for which tasks, this way everyone can work on their own time and when they are finished their chore they can move on to the next one. Put your family chore chart somewhere where everyone can easily see it, and have everyone set out to complete their tasks before the day’s end. To make it more fun and exciting for everyone, have a small prize or something special at the end of the day as long as everyone completed their chores. You could have a family pizza night in front of your favorite Christmas movie, or make a favorite sweet treat for everyone to indulge in once the chores are done. Some families like to have family chore charts for each week that states who is responsible for what. I think this is a great way to get the whole family involved in cleaning and a great way to teach responsibility to your kids. You can do the same thing when it comes to cleaning for the holidays. To make a holiday family chore chart, simply print one off or create your own on a piece of paper, write down all the cleaning tasks that need to be done, then put names beside each task. You could even make a little box that can be checked off when the chore has been completed, for those of you who love checking things off of lists. Laundry is that one task that tends to get forgotten about (strikethrough) put off until there’s so much laundry that it no longer takes you just a load or two, but requires you to do laundry for an entire day. Make sure you’re staying on top of your laundry pile. Have you ever tried your hand at making your own homemade cleaners? I love using homemade cleaners. This way if I’m in the middle of cleaning something and realize I’m about to run out of cleaner, I don’t need to stop and make a trip to the store. Instead, I just fill my spray bottle up with a vinegar and water solution (which you can infuse with citrus peels to take the smell) and get right back to work. This homemade vinegar cleaner is the cheapest stuff I have ever used, and it is so, so easy to make. I’m also happy to know that I’m not pumping our house full of all the chemicals that are found in normal cleaners, but instead using an all-natural, and incredibly affordable, alternative. Some of you may have already got a head start and have your decorations up, which will make cleaning your entire house a bit trickier. If you haven’t yet put up holiday decorations, hold off until you get your house cleaned. Cleaning before you decorate your entire house will make your life a whole lot easier since you won’t be having to clean behind and move decorations that you just put into place. 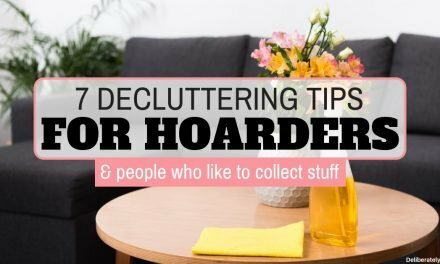 Though cleaning before you decorate is obviously an easier option, some people just can’t be bothered to clean right now but also can’t wait to decorate their house. If that’s you, you can still give your house a good deep cleaning after you’ve decorated, it will just require a bit more time and effort out of you – but don’t use the excuse of your house being decorated to get out of cleaning it. Deep cleaning your house might feel like a difficult, unenjoyable task, but you will be so much happier, stress-free, and relaxed once it’s done and over with. Chances are, even if you aren’t hosting Christmas at your house, you will still likely be hosting some family members for a night or two. Take some time after you have cleaned your house to get everything prepared for hosting guests. Put some extra toilet paper in the guest washroom, put out towels for your guests, make the guest bed, and prepare the guest room. Put up some Christmassy decorations in your guest room as well as the main areas of your house to help it feel cozy and welcoming. Lighting some Christmas scented candles and placing them in common areas where they won’t get knocked over and where you won’t forget about them, will bring a warm, welcoming scent into your entire house. I love walking into a home that has so obviously had cozy scented candles lit. It helps people feel at home and welcomed. If you’re not so much of a candle person, you could do the same thing with an essential oil diffuser. Set the diffuser up in a common area and add your favorite Christmas scents to the diffuser and let it fill your house up with a wonderful aroma. Use this list of holiday cleaning tips to help you quickly clean your house before your guests start arriving. Even though cleaning might be the last thing on your mind right now, it should be done before it gets too close to the holidays. 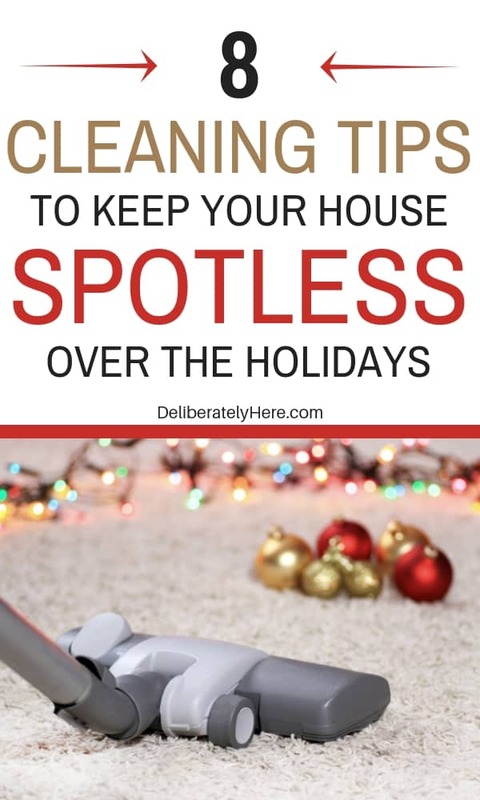 The closer to the holidays that you get, the busier you get so you will be thanking yourself if you get all your cleaning down with plenty of time to spare. What are some holiday cleaning tips that you do every year? Wonderful post! The holiday can be so overwhelming with all the cleaning and preparations. Lovely and useful tips. Thank you for including the instructions on the homemade cleaning solution! One thing that I might add, that I saw on another blog (https://www.cleanlivingmarin.com/area-rug-cleaning-holiday-prep/) is to get your rugs cleaned! Otherwise you’ll do all of this work, and then walk across rugs that have trapped dirt and allergens, and bring it into your clean home. Thanks for the tips and happy holidays! Having a clean home for the holidays and guests is always a big stress for me. I’ve always relied on consistent cleaning to help me when it gets crazy. Although, sometimes it’s just nice to get a professional to come clean my carpets. Thanks for the post!